Yesterday I posted about writing age appropriate middle grade fiction. Not only is it made difficult because what one person thinks is age appropriate is completely inappropriate in someone else’s estimation, but “middle grade” covers a really wide audience. Characters in younger middle grade books are 8 to 10 or 2nd through 4th grade. An eight year-old is involved in home life but also involved with their friends. They don’t hang out yet. They play. A nine-year old is more likely to seek approval. They work toward being liked. Hanging out with friends is a big deal and this is where many of them start to split off – boys with boys and girls with girls. Characters in older middle grade books are 10 to 12 years old or 4th through 6th grade. Ten years-old is where some girls start to have growth spurts. But not all of them do. They are also understanding how their behavior affects others. By twelve? The girls have “blossomed” and totally left the boys behind. This may mean treating the boys like little kids. Skin is also going haywire and many kids start to get self-conscious about their appearance. Look at my description of a twelve year-old. Now look at the one for an eight year-old. There’s a world of difference. And that’s why middle grade books are so hard to categorize. Older middle grade titles include Raymie Nightingale by Kate diCamillo, Wonder by R. J. Palacio, Greenglass House by Kate Milford, and The Miscalculations of Lightning Girl by Stacy McAnulty. These characters deal with illness and death. One or more of them may be in danger. Remember, these kids are young teens. This diversity is why it is so important to pin point your audience. You aren’t going to write a book that appeals to the full range so you need to know who your target reader is. What’s right, and acceptable, for one won’t be for another. And that’s okay. Twelve year-olds and eight year-olds each need their own books. Age Appropriate Fiction: How Much Is Too Much? I have to admit that I almost never look at reviews of my own books, but I do read reviews of other author’s books that I enjoyed. Today I popped over to Amazon to check out the reviews of Kate DiCamillo’s Raymie Nightingale. This is the summary from the library web site. If you know Kate DiCamillo’s work, you know that it is going to be quirky. Really quirky. But this isn’t one of her Mercy Watson books so it will probably deal with some heart-felt moments. And you’ll laugh, really hard. Now if you haven’t read the book and you are going to have a fit about spoilers, do not read any more. Seriously. Go Back! Here there be spoilers! If you are still reading, I am going to assume that you read my warning. If not? Ah, well. I tried. I don’t know exactly what the worrisome content was. Oddly enough, there was a lot of fussing but few specifics. That said, a lot of adults get fussy when fictional parents behave badly. In this book Raymie’s dad run’s off with a dental hygienist. Beverly gets smacked by her mother. Why don’t I think these things are age inappropriate? First of all, this is a middle grade novel. The readers are 5th and 6th graders. They’ve seen things. We may not be happy with all of those things but they still happen. Second is how DiCamillo deals with these things. We don’t see what happens between Beverly and her mom. The reader only sees the bruise. We are kept a distant from this harsh reality. We also hear about Raymie’s dad after the fact. We are not kept at a distance when Louisiana nearly drowns. Don’t panic. Raymie saves her. But it is a tough section to read. But I think that part of the reason that DiCamillo is so popular is that she trusts her readers with these kinds of truths. Life is tough. Scary things happen. She gives her readers a change to experience these realities in print vs cinematically which is even harder. And she also trusts them to be able to handle it. In addition, DiCamillo’s sense of humor makes it all easier to take. Her characters are quirky and they sometimes do truly bizarre things. A bit of distance and humor can make a lot of things less scary. Not every reader is going to love this book but that’s okay. For those who need this type of book, DiCamillo has created something that will pull them in even when they are on the edge of their seats. Third person shouldn’t feel this distant. Recently my novel suffered a POV failure. I’m writing this in third person limited. Although the novel is in third person, everything is in the point of view of my main character. Every now and again we get her thoughts but we don’t get anyone else’s. We see things through her eyes, but she isn’t the narrator. After not having time to work on the novel for about a week, I dove back in. About half way through my chapter, I realized it felt too distant. I wrote what my character saw. I related conversations. But her feelings were absent. Instead of feeling like her POV, this was more distant, like drone footage. To avoid this the next time I drafted a chapter, I spent a few minutes contemplating what my character wanted to get done in this particular chapter. What were her goals? While I knew what was happening in the problem chapter, I’m not sure my character actually had any goals. Events felt like they were swirling around her. With this goal in mind, I also spend some time considering her emotions. How did she feel about being in this situation? The reality is that while she chose Door A over Door B, she hadn’t planned on needing to pick a door at all. Her life is in a state of change she didn’t see coming. How does she feel about that? How does it impact what is going on in this scene? Now that I had a handle on her emotions, I could get out my Emotion Thesaurus. If you don’t know this book, it is a handy guide written by Angela Ackerman and Becca Puglisi. Look up an emotion, such as worry, and you’ll find a list of physical and mental responses. Go through the list and find several that feel natural for your character. With set emotions in mind and this book in hand, your worried character can do more than chew her lip while your angry character goes beyond clenching her fists. Third person shouldn’t feel distant. Getting up close and personal with my character before I started writing helped me to get up close and personal in the scene itself. I normally write one post a year about banned book week but this year? This year it feels critical in a way that it never has before. During my son’s sophomore year in high school, he brought home a list of books and a permission slip. They each had to read a banned book and do a presentation on it. Parent’s had to OK whatever book their child chose. Later, my son told me that when she read that she laughed. She just wanted parents to realize how commonplace banned books are. They aren’t “out there” and they aren’t “extreme.” They’re books about people who aren’t like the would-be banners. sometimes they are books that make you think. Some are pure entertainment. As polarized as our society has become, I can’t help but think, more people really should have listened to my mom. Celebrate freedom of speech. Take a trip to your library this week. Pick up a banned book. Sometimes it is just funny how things work out. You go into a project or an activity with one plan and something else happens. This past weekend, I went to a flea market with a friend. It sounded like it was going to be a big event. Instead, it comprised about six tables. But one of these tables was full of original art and prints. I fell in love with her “education” prints. Sorry, the colors aren’t great because I snapped this in lamplight with my phone. But it says: Education is much like a tree which must be allowed to grow and mature. I wasn’t looking for a print for my office, but that’s what I found. Every time I see it on my bookshelf, I smile. After the flea market, we popped over to Half Price Books. My friend found a stack of original blue-cover Nancy Drews. I found two of Jared Diamonds books. They didn’t have Guns, Germs and Steal which I saw with my teen, but I did get Collapse and The Third Chimpanzee. These aren’t the things I went out looking for this weekend, but they are delightful finds. I know. I have two manuscripts and a class to finish. Then I am going to curl up on the sofa and read. Next week from 9/23 to 9/29 is banned book week. Book banning continues to be a serious issue in the US. It is one thing if a parent doesn’t think their child is mature enough to read a specific book and approaches the teacher, asking for an alternate title. It is another altogether when a parent doesn’t want anyone exposed to other religions or questions of gender identity and demands that a book be removed from the school curriculum. Or pulled from library shelves. That is book banning and censorship. As a parent, I have to admit that I didn’t worry a whole lot about what my son was reading. In part, this is probably because I knew most of the books well enough. I didn’t have to worry what was in them. I knew. And we talked. But then again I’m not going to object to a Muslim character, a transgender character, or a teen who swears. Given what I write, you’ve probably assumed that I’m all for people of different outlooks being heard. You don’t even have to agree with me to be heard. But, and this is the important part, I will fight as soon as you try to silence someone else. Why not celebrate next week by reading a banned book? Here is a video that includes a list of the 10 most challenged books of 2017. 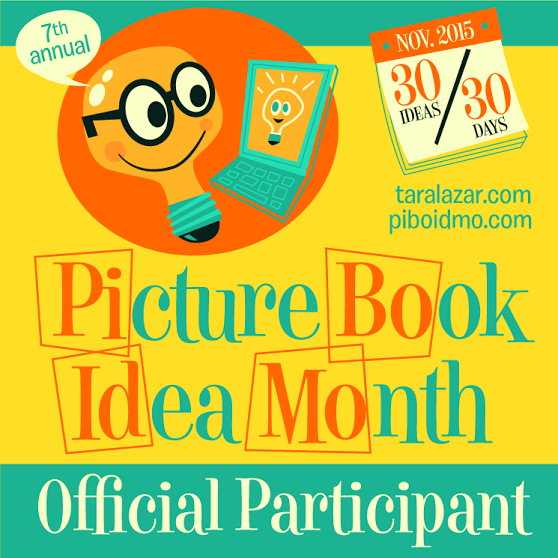 Not long ago, I saw a call for authors to write nonfiction graphic novels. Sounds great, but I don’t illustrate and I have no clue how to format the manuscript. I tried looking it up online and . . . nada. Part of my problem may have been that I was using the wrong lingo. It is a graphic novel script. I discovered this reading The Art of Comic Book Writing by Mark Kneece. Kneece recommends three steps to writing. The first is know what goes on in each Act. Act 1 establishes main character and story problem and is no more than 25% of the total page count. Act 2 is 65% of the page count more or less. Character attempts to understand the problem and make progress. Act 3 is more or less 10% of the total page count. The main character puts forth huge effort at great risk and, hopefully, succeeds. Next, the writer figures out what happens on each page. This is a great place to pinpoint problems in pacing. Panel 1 – Description should be written here. Some writers create lengthy complex descriptions. Others are much briefer. It is even okay to include photos for visual reference. Jane Doe: Dialogue. Keep it brief. John Doe: Dialogue. Still keeping it brief. SFX: Onomatopoeia sound noises here. Kapow! Panel 2 – Description, etc as in panel 1. Unlike book manuscripts, much of this is single spaced. That surprised me. So did the proportion of story given over to each act. I’m more accustomed to a 25-50-25 split. There’s a lot more to this than the little bit I’ve written here. This book is very thorough and helps walk you through the various steps, warning against common pitfalls. I’m going to wait to finish reading it until I have a specific idea. Otherwise I’ll just forget it all by the time I need it. But now that I have a clue . . . I’m going to start reading more graphic novels. Waiting for inspiration. Do you regularly listen to podcasts? I have to admit that I don’t. Most of them are just too long to hold my attention, especially when they ramble on for 5+ minutes about things they want me to buy. I have the attention span of my audience. The exception to this podcast rule comes from SCBWI. 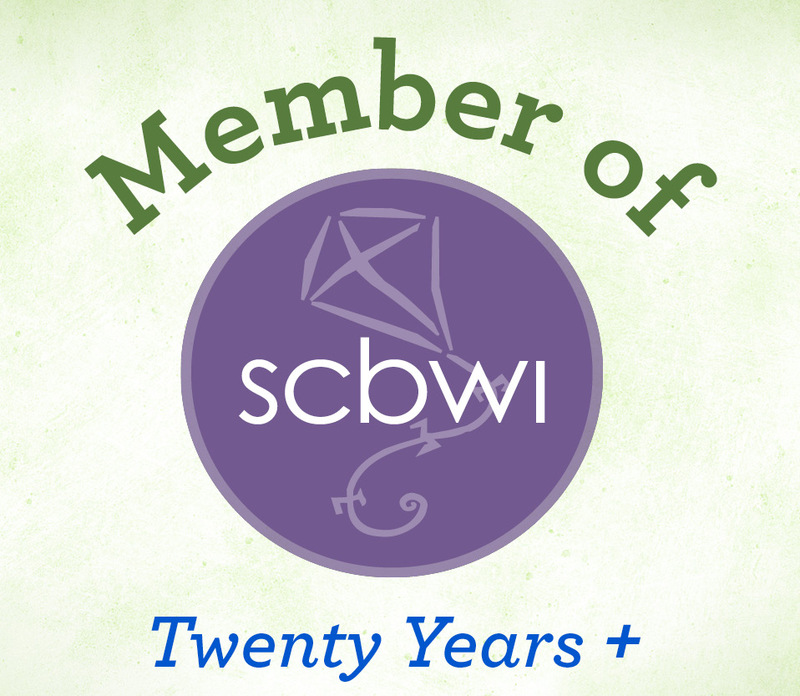 That’s the Society of Children’s Book Writers and Illustrators for those of you who aren’t in the know. Members can sign in and listen to a wide variety of interviews. Non-members can sample a trailer. Click here for the podcast page. A while ago, I listened to an interview with editor Connie Hsu. She said something that really stuck with me. If you want to write picture books, you have to be able to get voice, character and mood into one line. Really? That seems impossible. But think about it. A spread is roughly equivalent to a chapter. And the first chapter of your novels needs to show voice, your character, and the mood/tone of the story. I decided to look at some picture books to see how this works. This is the first spread of I Don’t Want to be a Frog by Dev Petty, illustrated by Mike Boldt. The first speaker is Frog. The second speaker is Dad. What can you tell right away? Frog wants what frog wants. Does it make sense? Nope. But it is what Frog wants. He reminded me very much of a typical preschooler. We have the tone, the character and what he wants. Not to be a frog. And we got all of that in eleven words. Can you pull that off? Me? I’d love to say yes but the nonfiction examples below look more like my style. This is the first spread of Rice from Heaven by Tina Cho, illustrated by Keum Jin Song. Out in countryside, across a bridge, to an island blanketed with rice fields, Appa and I ride. We reach a place where mountains become a wall. A wall so high, no one dares to climb. What do we get from this? We have a first person speaker who is off on some kind of mission or quest. And things are a bit scary – the mountains form a wall that is so high no one has the nerve to climb it. They are someplace beautiful but the situation they are dealing with? Not beautiful. And you get that from 35 words. Picture book writing is tight. You don’t have words to waste. And your story? You have to launch it on that first spread. If this sound do-able to you, then picture book writing might be right for you. Grammar Gremlins: You Can’t Start a Sentence with a Conjunction . . . or Can You? Expert? At bending the rules of grammar? Yeah, that would be me. I start sentences with conjunctions (And, Or, But) all the time. But I got the feeling that she wanted the gospel answer. So I looked it up via a Google search. This is definitely something that people have opinions on. My search turned up 214,000,000 results. I quick glance told me that I had no clue who the vast majority of these bloggers or other experts might be, but I did see one that I recognized, the Merriam-Webster dictionary. Their site says that not only can you start a sentence with AND it has been done for quite some time. “Firstly, has it ever been wrong to begin a sentence with and or but? No, it has not. We have been breaking this rule all the way from the 9th century Old English Chronicle through the current day. Many translations of the Bible are filled with sentence-initial ands and buts, and they even may be found in some of our more beloved—and prescriptive—usage guides. The 1959 edition of Strunk and White’s The Elements of Style begins two sentences in a row with these prohibited words, and does so with nary a trace of self-consciousness. ‘But since writing is communication, clarity can only be a virtue. And although there is no substitute for merit in writing, clarity comes closest to being one. I start sentences with ‘and’ on a regular basis. I also use ‘but’ and sometimes ‘or.’ Why then were we taught not to do it? Although it can be an effective way to start a sentence, I suspect a lot of us tend to use it as a transition. Imagine a whole string of sentences linked by conjunctions. It would easily stretch into the far distance. Does that mean it is wrong to do occasionally? Absolutely not. But it probably isn’t something you should do for every other sentence.